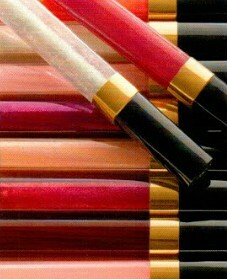 Inspired by the elegance of Gabriella Chanel, COLLECTION RÉVÉLATION makes lipgloss the essential accessory. A fresh palette of bestselling LEVRES SCINTILLANTES Glossimer presents captivating options. New and beloved shades offer a sophisticated spectrum of colour, from simply sheer Ocean Shimmer to intense yet versatile Crushed Cherry. An array of finishes-subtle sheen to sparkly metallic-complements every look with ease. 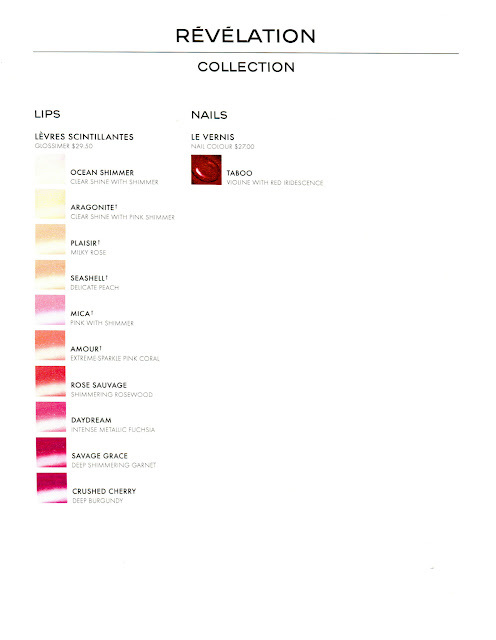 The perfect accent for effortless lip looks: Taboo, a mesmerizing LE VERNIS shade of iridescent purple with blue-red intensity. These will start shipping to all US stores this week, on March 4th, 2013.